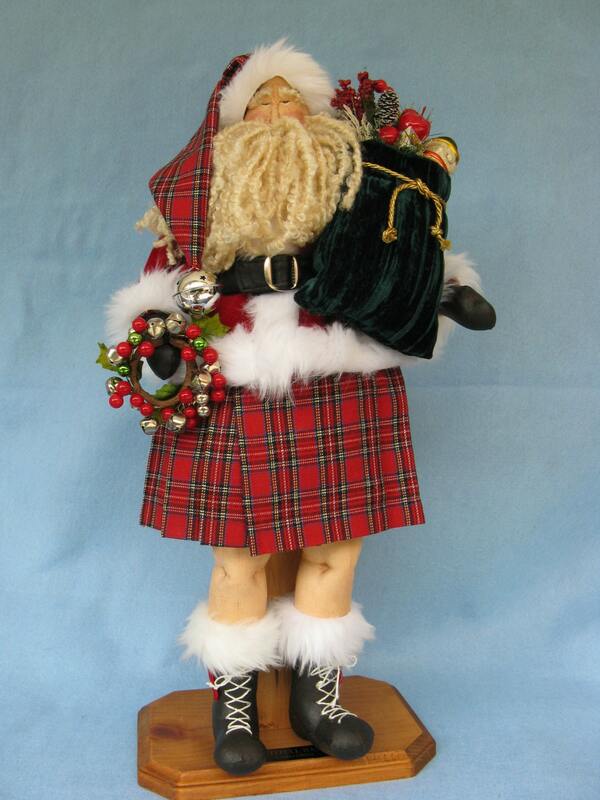 A Kilt wearing Santa dressed in his finest Tartan plaids. This doll is sure to become a favorite at craft fairs and with Santa collectors. Copyrighted July 2014 All rights reserved May not be reproduced or mass manufactured. Finished Dolls handmade by you personally may be sold on the internet and craft fairs. Please acknowledge design credit to Fruitfull Hands Dolls.